On April 6, 2018, the US Treasury Department's Office of Foreign Assets Control (OFAC) added 24 individuals and 14 entities to the List of Specially Designated Nationals (SDN List) and one entity to the Sectoral Sanctions Identifications List (SSI List) in connection with Russian activities in Ukraine and Syria. OFAC also issued two new general licenses to help reduce the unintended consequences of these designations. General License 12 (GL 12) provides a 60-day transition period to wind down pre-existing contracts with newly designated persons, and General License 13 (GL 13) provides a 30-day window to divest or otherwise withdraw from business relationships with certain designated companies. The April 6 designations are intended to have a significant commercial impact, as they target individuals and companies with global profiles across a range of key sectors. This impact is magnified by US secondary sanctions that penalize US and non-US Persons who engage in significant transactions with Russia-designated persons, and by OFAC's 50 percent rule, pursuant to which any entity owned 50 percent or more by a designated person is automatically subject to sanctions, even if the owned entity is not named expressly on the SDN or SSI lists. Accordingly, now is the time for individuals and entities—US and non-US—to assess their potential exposure to the designated persons, and to consider whether the general licenses may be helpful in reducing their risk. US sanctions generally prohibit "US Persons"4 from engaging in or facilitating transactions with designated persons, absent authorization from OFAC. Additionally, US sanctions freeze (block) all property and interests in property of designated persons within US possession or control. As noted above, these restrictions also reach—automatically, by operation of law—any entity owned 50 percent or more by a designated person, even if the owned entity is not named expressly on the SDN or SSI Lists. 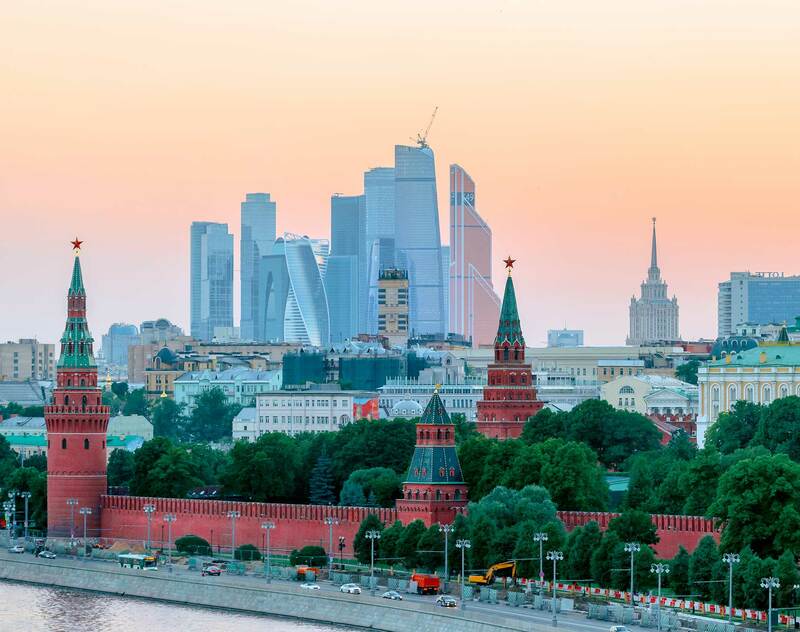 The US sanctions targeting Russia also contain certain secondary sanctions, for which the US asserts jurisdiction over all persons, US and non-US. These measures dramatically expand the impact of the April 6 designations. In particular, under Section 226 of CAATSA, the US Treasury is required to prohibit or impose strict conditions on foreign financial institutions' US correspondent or payable-through accounts if the foreign financial institution, on or after September 1, 2017, knowingly facilitates a significant5 financial transaction involving Russian SDNs or, in certain circumstances, Russian entities on the SSI List. Additionally, Section 228 of CAATSA authorizes a menu of penalties—including designation—on any foreign person (i.e., not limited to financial institutions) who, among other things, on or after August 2, 2017, knowingly engages in or facilitates a significant transaction for a Russia SDN- or SSI-listed person. OFAC issued two new general licenses alongside the April 6 designations. These authorizations can be used without seeking further permission from OFAC for any conduct that fits within their parameters, though certain reporting and/or notice requirements may be applicable. GL 12 does not authorize (1) the divestiture or transfer of debt, equity or other holdings in, to or for the benefit of the designated persons above; (2) the unblocking of any blocked property; or (3) the export of goods from the US. Moreover, GL 12 is limited to its terms: it does not authorize any transaction or dealing with designated persons other than the wind-down activities described herein, and only though 12:01 a.m. ET on June 5, 2018. GL 12 also contains an important caveat: it requires that any payment to or for the direct or indirect benefit of a blocked person be made into a blocked, interest-bearing account located in the United States. US Persons participating in transactions pursuant to GL 12 are required to file a detailed and comprehensive report of each transaction with OFAC within 10 business days after GL 12 expires, or by Tuesday, June 19, 2018. GL 13 authorizes US Persons to engage in certain activities necessary to divest from EN+ Group PLC, GAZGroup and United Company RUSAL PLC through 12:01 a.m. ET on May 7, 2018. GL 13 specifically permits US Persons (1) to divest or transfer to a non-US Person, or (2) to facilitate the transfer by a non-US Person to another non-US Person, debt, equity or other holdings in these companies. This authorization includes facilitating, clearing and settling transactions to divest to a non-US Person debt, equity or other holdings of these three companies, including on behalf of US Persons. However, GL13 does not authorize the unblocking of any blocked property. It also does not permit US Persons to sell debt, equity or other holdings to any other blocked person; to purchase or invest in debt, equity or other holdings in any other blocked person; or to facilitate such transactions with, directly or indirectly, any other blocked person. US Persons participating in transactions that GL 13 authorizes are required to file a detailed and comprehensive report of each transaction with OFAC within 10 business days after GL 13 expires, or by Monday, May 21, 2018. The April 6, 2018 sanctions designations come at a time of escalated diplomatic tensions between the US and Russia and, as noted above, are designed by the US to have global commercial impacts. Accordingly, given the time-limited authorizations under new General Licenses 12 and 13, now is the time to identify and address potential exposure to the designated persons—and, more broadly, to Russia. 1. Newly designated Russian oligarchs: (1) Vladimir Leonidovich Bogdanov, (2) Oleg Vladimirovich Deripaska, (3) Suleiman Abusaidovich Kerimov, (4) Igor Arkadyevich Rotenberg, (5) Kirill Nikolaevich Shamalov, (6) Andrei Vladimirovich Skochand (7) Viktor Feliksovich Vekselberg. 2. Newly designated Russian SDN entities: (1) AgroHolding Kuban; (2) Basic Element Limited; (3) B-Finance Ltd.; (4) EN+ Group PLC; (5) GAZ Group; (6) Gazprom Burenie, OOO; (7) JSC EuroSibEnergo; (8) Ladoga Menedzhment, OOO; (9) NPV Engineering Open Joint Stock Company; (10) Renova Group; (11) Rosoboroneksport OAO; (12) Russian Financial Corporation; (13) Russian Machines; and (14) United Company RUSAL PLC.